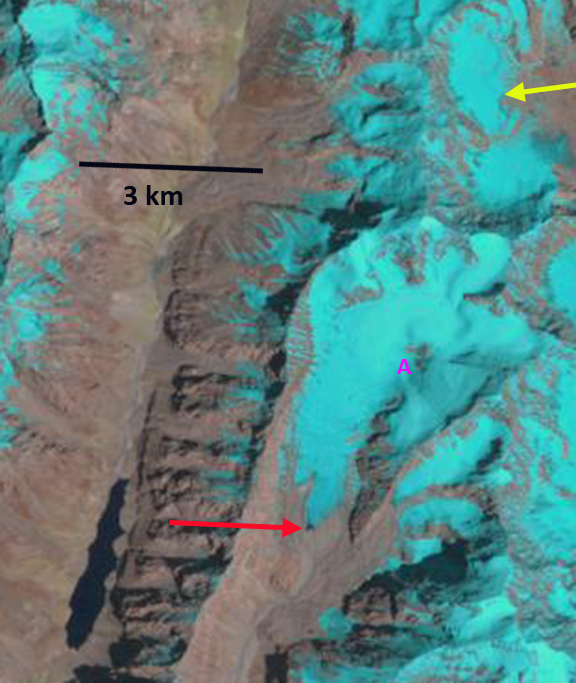 Here we examine the changes of the glacier from 1998-2014 using Landsat imagery. 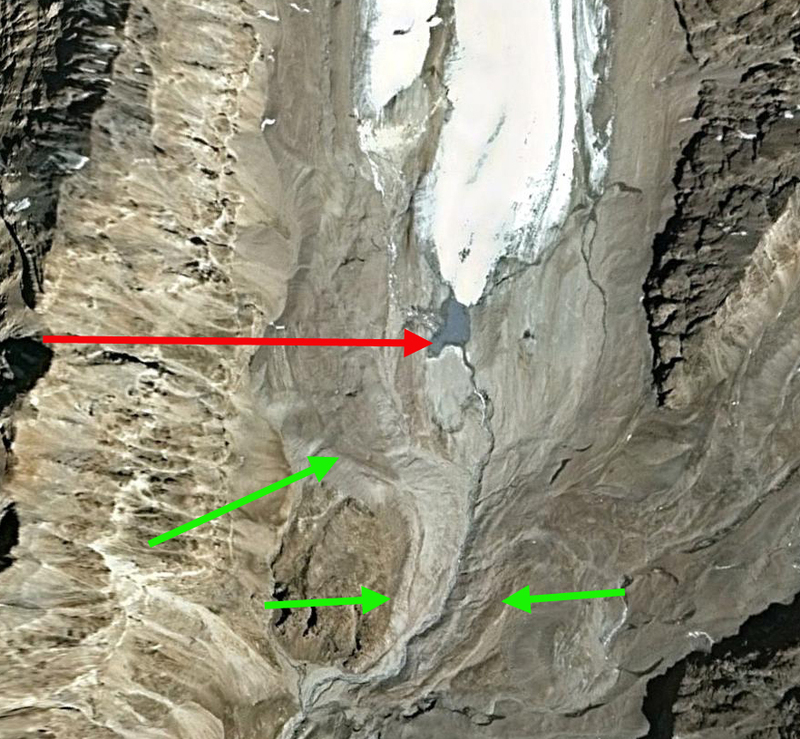 In 1998 the glacier ended in a small proglacial lake, red arrow. A nunatak is at Point A. In 2002 the glacier still reaches the edge of the proglacial lake. 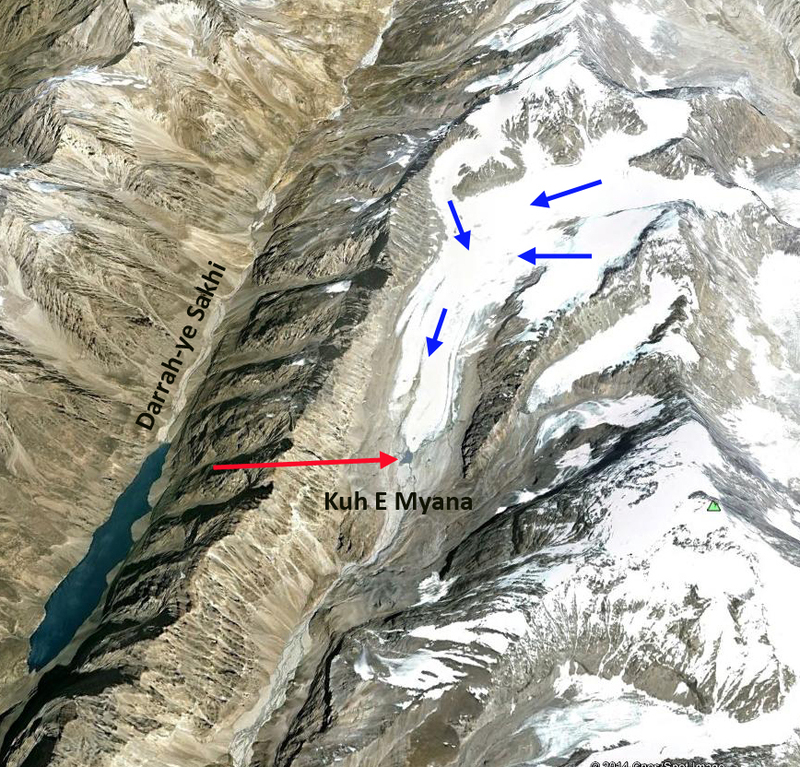 A small niche glacier is indicated by the yellow arrow. 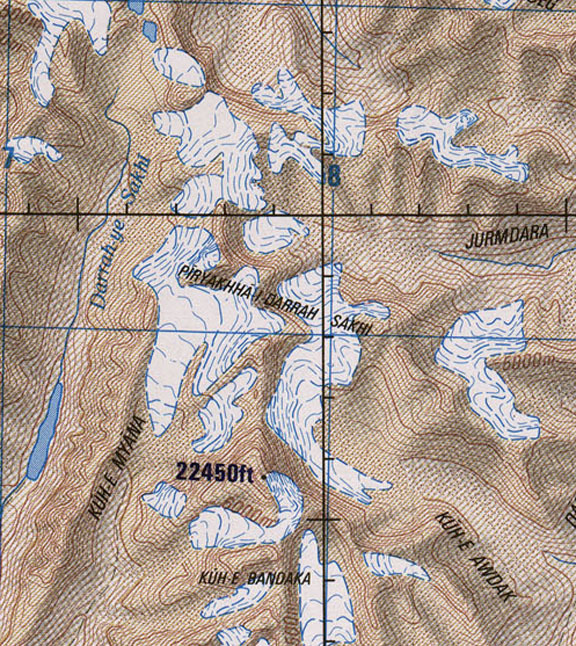 The 2004 Google Earth image indicates an expansion of the proglacial lake, and that the glacier terminus is quite thin. 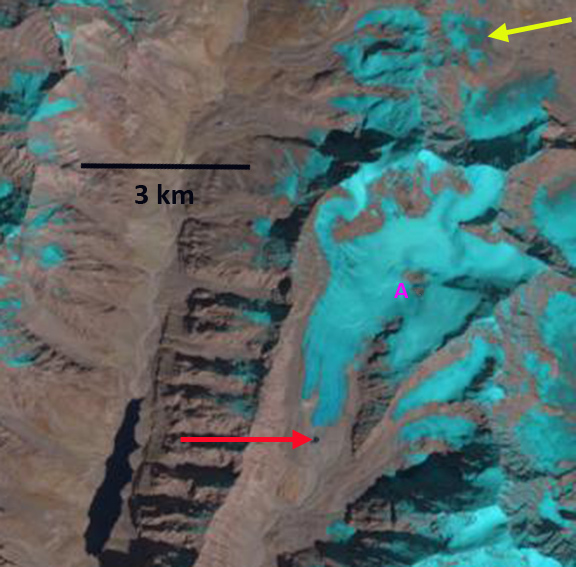 By 2014 the glacier has retreated 250 from the proglacial lake, red arrow. The majority of this retreat has occurred in the last decade. The glacier has retreated 1200 m from the Little Ice Age moraines to the 2004 terminus, green arrows on 2004 terminus image. The retreat since 2004 is much faster than the overall retreat. The nunatak at Point A has expanded. 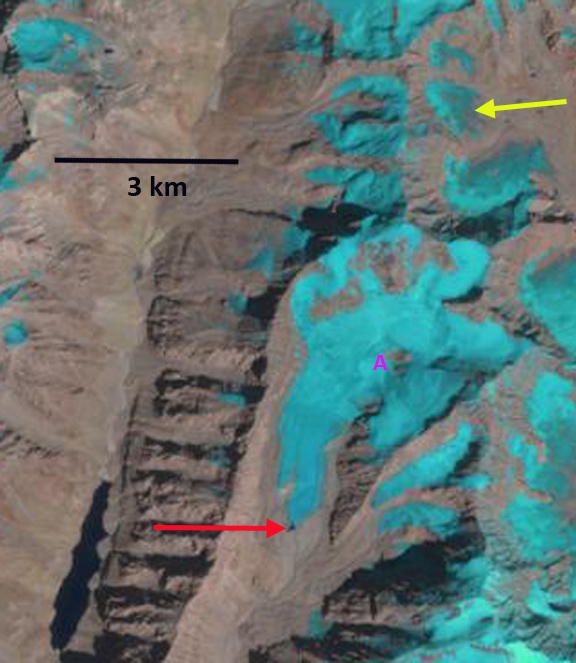 The niche glacier at the yellow arrow has developed a pair of substantial bedrock gaps as the thinning glacier disappears. This entry was posted in afghanistan climate change, afghanistan glacier melt, afghanistan glacier retreat, badakhshan glacier retreat, chile glacier melt, glacier climate change, hindu kush glacier retreat, kuh e myana glacier retreat. Bookmark the permalink.